These messages are perfect to be sent to a heartbreaker. They are the ones to feel the hurt and pain the more, not you. Give them the shock of their lives by sending these messages to them. Don’t crumble your heart because you think someone broke it. 1. You broke a heart and you can’t destroy it completely. Is this really all you could do? Is this where all your love games would end? 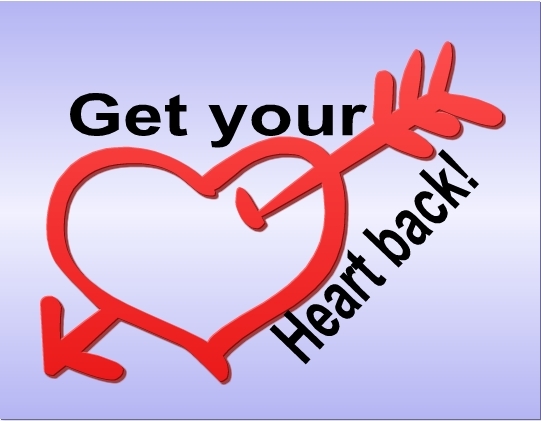 Sad news for you: my heart is back to shape! Yahoo! Nights will become days, sun will shine again. And gloomy heart will be full of passion again. I may be heartbroken now, but I will be whole shortly! Surely my broken heart will be mended, and I will be okay again. Thank you for helping me to know your worth. You call it heartbreak, but I call it a break. Yes! A break to help find a caring person unlike you. 5. I laugh and I just laugh! I laugh because you think you broke my heart! How could that have been possible, when I never gave you? Please stop feeling like an heart breaker! You lose! 6. Take it or leave it, you don’t know what love is. I am sorry for saying yes to someone like you. I just checked your name and it’s really missing. I am so sorry to have been your lover. And I don’t wish to make such mistake again. If it’s now a pathway, I will choose to walk no more! Whatever your love is, I withdraw from! Or won’t it be great to choose right than wrong? And you don’t reply anymore to my messages. You have forgotten so soon the accolades you promised! How sad to know you are the one who broke my heart! And I just wished this was never you. An example is MEETING SOMEONE LIKE YOU again. You broke my heart but I am okay. My heart was only broken not totally destroyed. Glad that it will be back in shape sooner. By then we will know who is the loser. And I don’t want to ever make them again. Number one example is: giving my heart to you. But I will be glad too that it will be back to shape. 14. Your real name is The Heart Breaker. And How sad I didn’t know this earlier! But for your notice, I will be back to normal. Yes, I will soonest. You are the loser! And thank you for proving you don’t worth my lovely heart. I will patiently wait for someone who knows its value. But for your information, I am as happy as ever. You did your worst, and it is fine with me. You tried to break my heart but you failed! But I gave it all and all to you. How sad to see that you ripped it apart. I’m sad you broke my heart, but I’m fine. But I never thought I would ever deserve it. Now it’s happening before my very eyes. Why did you have to break my heart! But how quick you have made it left me appalled. But how unmoved you are about it is more than a proof. But how soon they all ended and break me further. My heart is broken, if only you can see. 21. So many questions in my mind with no sure answers. So many wounds in my heart without healing. And how sad to know they all came from you. My heart is broken and so sad it happened. 22. You used to be the one with the greatest love ever. You used to be my choicest among friends. But you breaking my heart makes my life run out of course. How I wish this is not happening to me. 23. I still find it difficult to believe you are doing this to me. How could you be so inhumane to treat me this way! How could you have had the audacity to leave me in sadness! You broke my heart. Sobs. And my sure help in times of need. But how this turn from better to worst still shocks me. “Why on earth” is the question I keep asking myself. “Is your heart really broken? Then It can be fixed! I hope the Broken Heart Love Sms for the Broken Hearted would really help. Thanks. I am glad you found them helpful, Julius.